People often ask me what to eat in Hong Kong, so it’s high time I address the glorious subject of Hong Kong food. 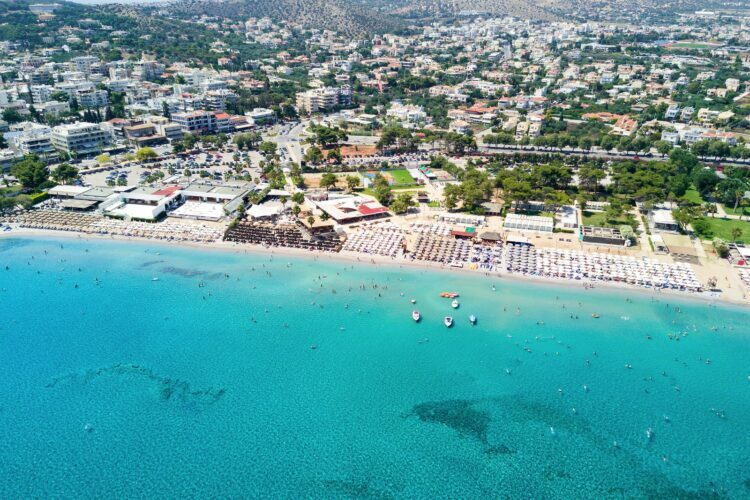 While this list has the potential to be incredibly long, it focuses on highlights that sourced near the hotels that I typically recommend that people stay in, if not in the hotels themselves. You’ll see references to a few terms that might be unfamiliar. Dai pai dong: An open-air food stall. Your visit to Hong Kong isn’t complete until you eat from one or more of these gems. Cha chaan teng: A typical Hong Kong-style teahouse that serves local dishes at typically low prices. They started cropping up after WWII as a way to serve locals affordable Canto-Western food as Hong Kong cuisine became influenced by the British. Siu mei: Cantonese roasted meats. Siu mei shops all over Hong Kong hang roasted duck and chicken in the windows (delicious). 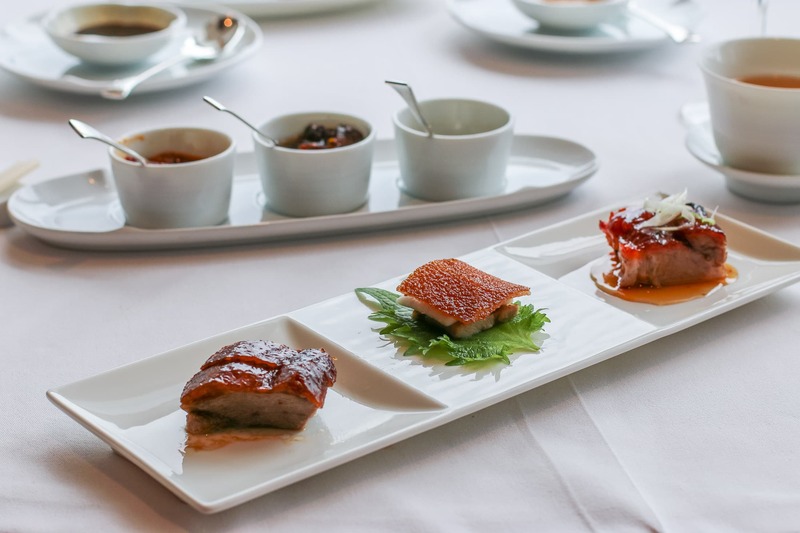 Many of the below beloved, small-but-mighty institutions receive nods in the Hong Kong Michelin Guide along with the larger restaurants. This is what makes Hong Kong food so unique. 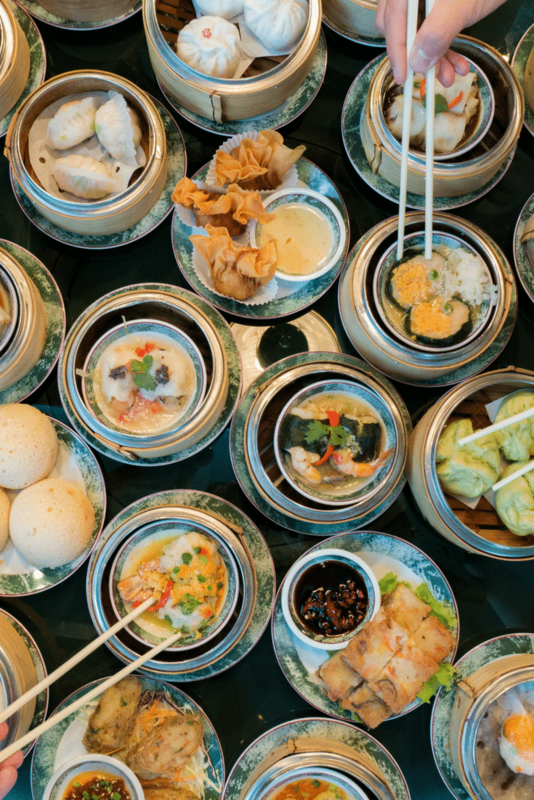 You simply can’t come to Hong Kong without enjoying dim sum. 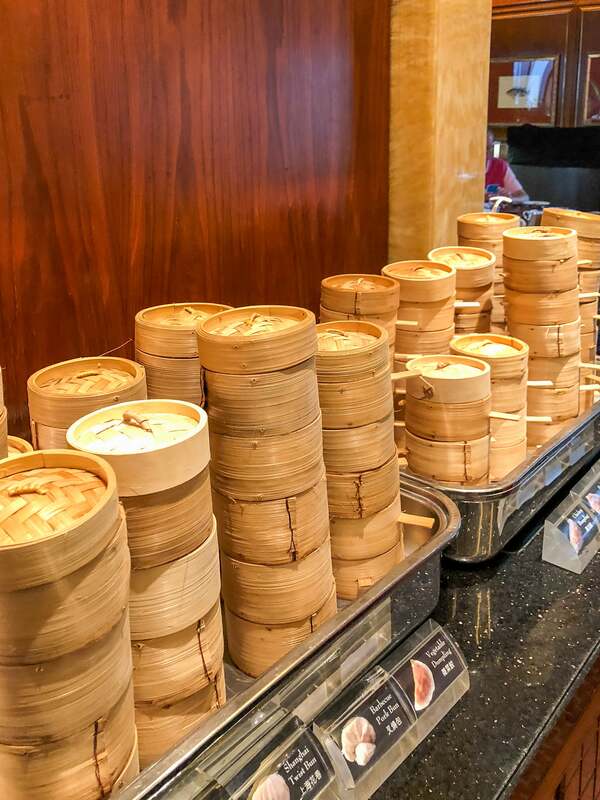 Whether you seek a white tablecloth experience, cart service or quick service, dim sum is everywhere. 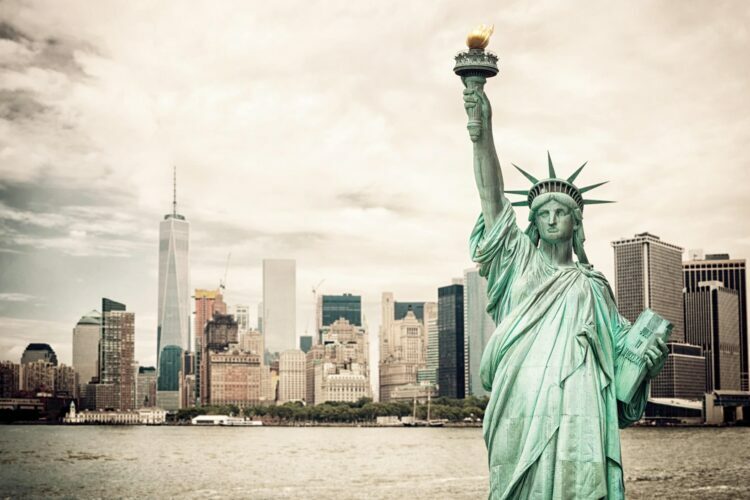 There are far too many fantastic places to list in such a short space but here are a few greats. You’ll often see yum cha and dim sum used interchangeably. Yum cha refers to the entire meal (dim sum and tea), but dim sum refers to the individual dishes. So, going out to yum cha = a dim sum meal. 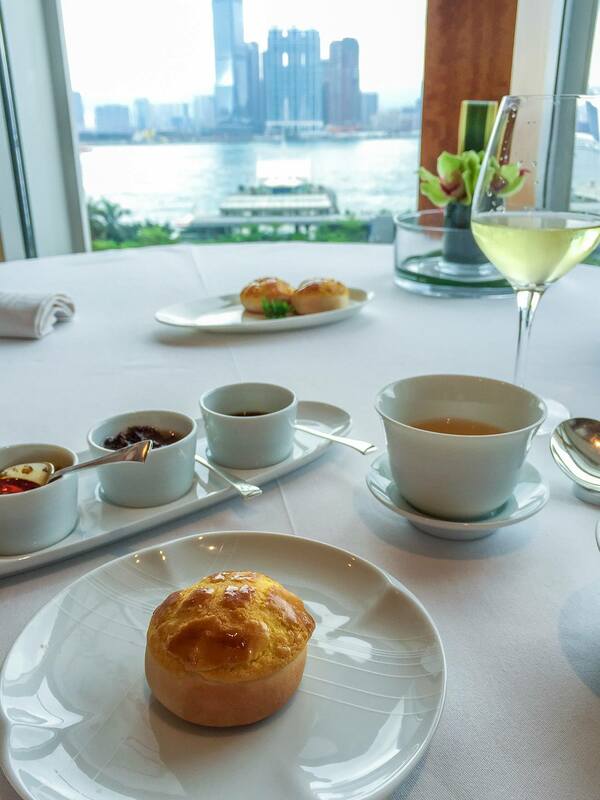 The baked barbecued pork bun is another must-order at Lung King Heen. 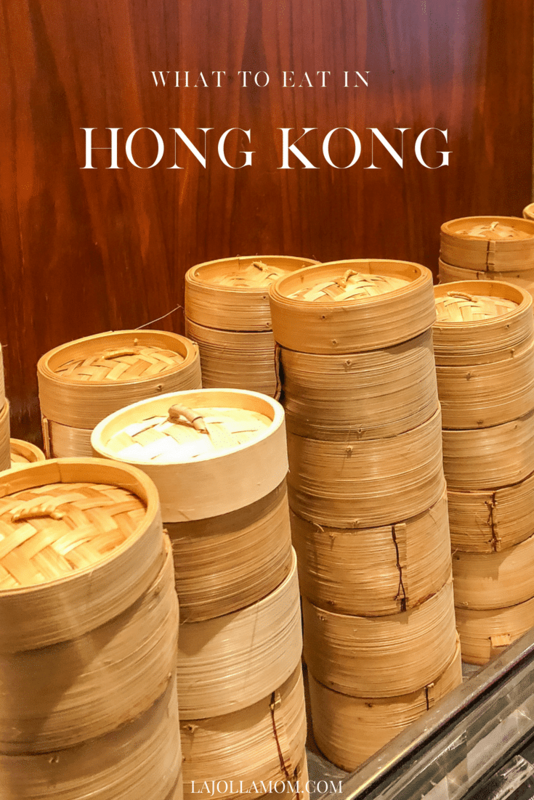 The world’s best dim sum is at Lung King Heen, the first Chinese restaurant to be awarded three Michelin stars and located inside of Four Seasons Hotel Hong Kong. Chef Tak’s enormous menu provides plenty of selection, but not-to-be-missed are the baked barbecue pork buns and steamed mushroom dumplings. Order a la carte or choose from a set menu with tea pairings or without (they also have Krug by the glass). Make a reservation well in advance. 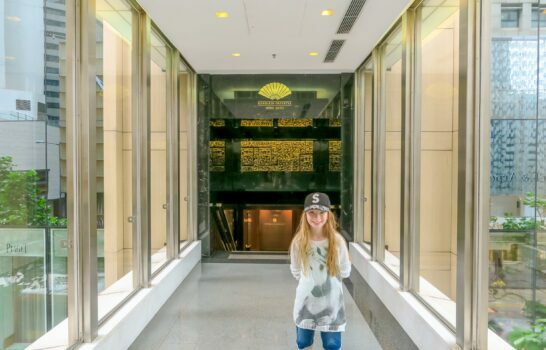 Maxim’s Palace at City Hall is one of Hong Kong’s most popular dim sum restaurants, and English menus make it easy for a tourist to navigate. Creaky push carts (with dishes labeled in English and Chinese) wheel classic dishes like shrimp siu mai and char shu bao to tables while enormous chandeliers hang overhead. Locals still love it, too, so make a reservation. Tim Ho Wan’s sweet baked barbecue pork bun is one of my favorites (Chef Tak’s at Lung King Heen holds the number one spot). It is some of the cheapest Michelin-star food you’ll have. Tim Ho Wan is easier to navigate now that they have English menus. Multiple outlets include IFC mall (Podium Level 1) in Central and in Sham Shui Po (this one has the Michelin star). Go for a late breakfast before the Sham Shui Po market stalls open. If there’s no line, you can be in an out in under 30 minutes. 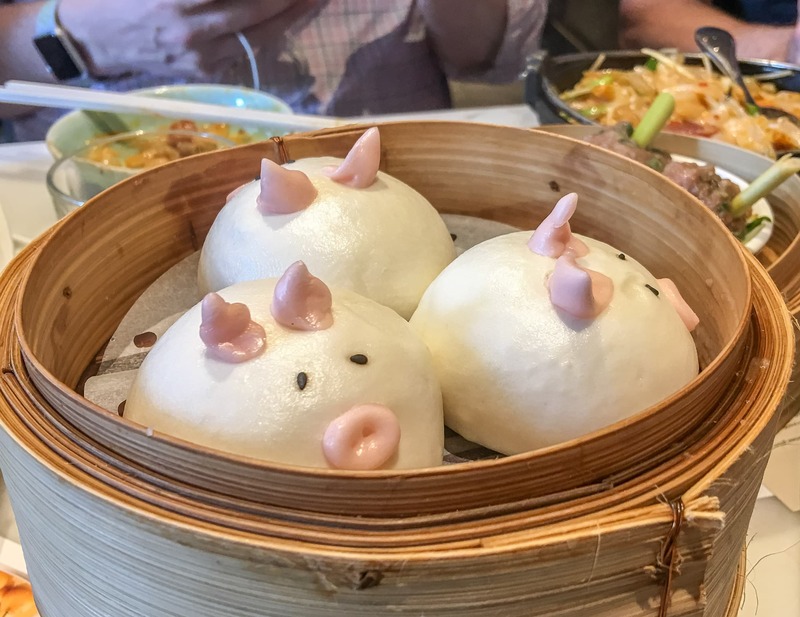 If you’d like character-shaped dim sum (highly recommend when in Hong Kong with kids), try Yum Cha in Central or Kowloon. The dumplings are cute, but the rest of the menu is pretty good. Book in advance as it’s popular. Crystal Lotus at Hong Kong Disneyland Hotel also offers Disney dim sum. Again, you’ll need to book in advance and, in this case, also pre-order the character dumplings. A remnant of British colonial rule, Hong Kong-style milk tea is a combination of black tea and condensed or evaporated milk. Find and consume this sweet drink all day long though traditionally, people mostly drink milk tea at breakfast and afternoon tea. A fine mesh (and even pantyhose) strains the tea leaves, so it’s sometimes called pantyhose tea. Lan Fong Yuen, a cha chaan teng in Central/Mid Levels that is over 50 years old serves milk tea (yes, strained through pantyhose). It’s cheap, cheerful and delicious. Milk tea is everywhere so not to worry about going out of your way to find it. Spoiler alert: There’s no pineapple in a pineapple bun. The sort of crunchy topping on these famous sweet treats just sort of looks like a pineapple. Now considered a heritage food, it’s made with sugar, eggs, flour, and lard. Many dai pai dongs and bakeries serve it with a slab of unmelted butter inside. Eat pineapple buns for breakfast or at afternoon tea (alongside milk tea). 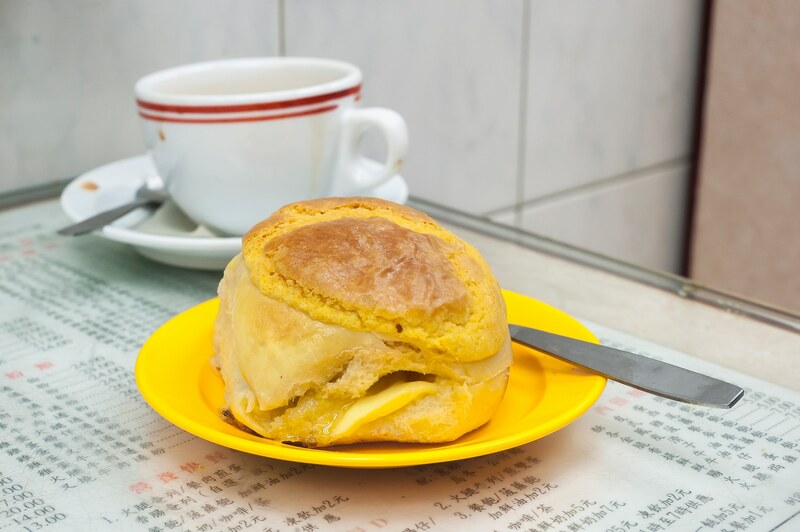 Kam Wah Cafe & Bakery in Mongkok’s pineapple outstanding pineapple bun deserves praise. Pair it with milk tea and keep shopping. Or try Kam Fung in Wan Chai (pictured above). 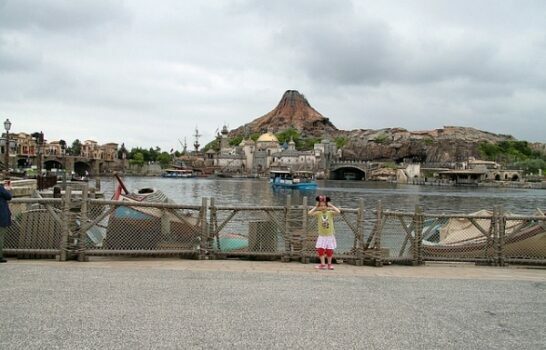 Have kids in tow? They’ll love a Hong Kong waffle (eggette). A classic street food snack, eggettes are a little hard to come by on the streets these days. Glammed up versions stuffed with chocolate or served in ice cream are popping up now worldwide. 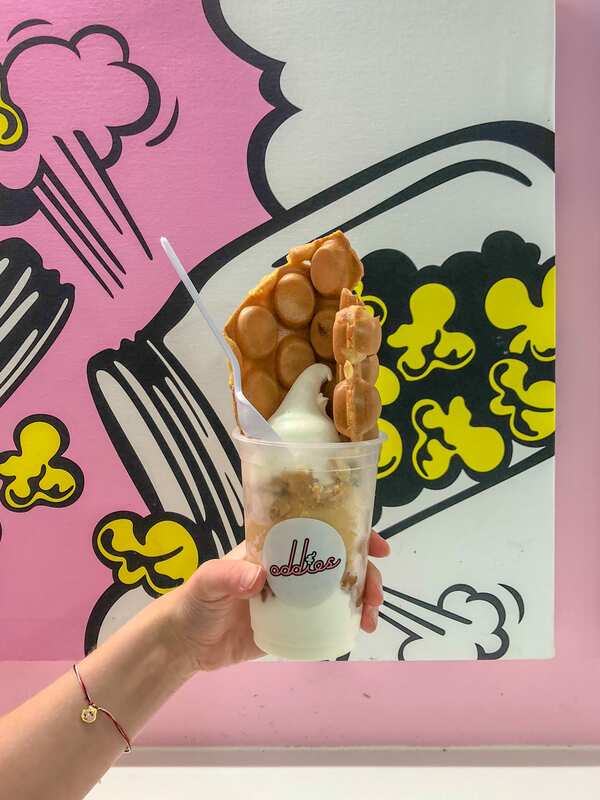 Not only does Oddies whip up eggette parfaits but their gelato is perfect for Hong Kong heat (or really any time of year). Our favorite egg waffle place is Mammy Pancake in Kowloon, now even more famous due to a Michelin Guide recommendation. Watch as egg waffles are cooked and blow-dried the old-fashioned way. I believe this is the original location, but there are others in Sheung Wan and near the Temple Street Night Market. I can’t seem to stray from the original flavor, but choices range from sweet to savory. Lee Keung Kee’s first hole-in-the-wall location is still in North Point though others are scattered around Hong Kong including Tsim Sha Tsui, Wan Chai, North Point, Po Lam and Tuen Mun. Stick with the original here, too, for a light, crispy outside and cakey inside. Tsim Sha Tsui is the neighborhood most tourists will be out and about in so that address is here along with North Point. Tip: Egg waffles are meant to be eaten right away. Don’t wait as they’ll lose the crispy exterior and turn mushy. After eating a proper Hong Kong egg waffle at the two spots above, you’ll understand why so many people around the world get it wrong. Char siu is a Cantonese method of barbecued pork with soy sauce, hoisin sauce, honey or sugar for sweetness and flavorings (including five spice) that turn the skin a reddish color. It’s served sliced and usually with a starch like rice or noodles or inside dumplings. It’s a little bit sweet and should have a nice balance of succulent meat and fat. A perfect lunch for me at Lung King Heen is the above barbecue pork set, baked barbecue buns, and mushroom dumplings. Other char siu places around town include Joy Hing, a restaurant in Wan Chai with roots dating back to the Qing dynasty, specializes in roasted meats including char siu. A pre-war type oven cooks meat without a thermometer. The temperature is still checked by hand to ensure perfection cooking. Expect lines all-day but succulent char siu worth the wait. Anthony Bourdain even loved this siu mei. There’s something classicly Hong Kong to me about Fook Lam Moon. Owners of the Rolls Royces and luxury cars usually parked out front to come for its long list of delicacies, expensive champagne, and cognacs. It’s nicknamed the tycoon’s canteen (find them dining in the private rooms). Pretty standard Cantonese restaurant decor offsets the extravagance, and many Hong Kongers go for family meals and special occasions. It’s famous, Michelin-starred, and known for polished, efficient service. The cook char siu to perfection and one of the most frequently ordered menu items. It’s even better when paired with the char-grilled crispy pork belly. Make a reservation. Walk along the side streets of Hong Kong and you’ll see roast goose hanging in the windows at siu mei shops and restaurants around town. Yung Kee’s roast goose is so famous in the region that visitors often take a whole goose on the plane home with them. Really. It’s sliced in exactly 72 cuts at the restaurant after being cooked in a charcoal oven using nearly the same recipe for over 60 years. It’s a sit-down restaurant that’s easy to find in Central. Make a reservation or get it to-go via the takeaway line at +852 2523 2343. The grandson of Yung Kee’s foundered opened up Kam’s Roast Goose in Wan Chai. It’s small with only 30 seats and the goose here is cooked in a gas oven. 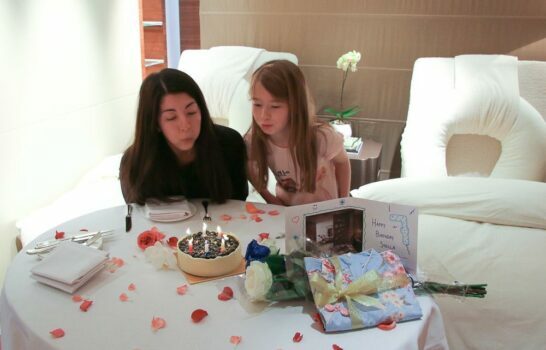 It only took one year of being in business for them to earn a Michelin star. Try roast goose over rice. Lines form early. It’s all about no-frills goose here Yat Lok, a Michelin-star hole-in-the-wall, a bit up the Mid Levels escalator in Central. You may share a table, but it’s worth it for crispy skin and tender meat. It’s notorious for brisk (okay, brash) service but the crispy skin and tender meat over rice are worth it. BYO napkins (really). Brisket stewed in a mixture of Chinese herbs and spices and served in a bowl of noodle soup is a Hong Kong Staple. Slurp away at Kau Kee, a nearly 100-year-old local favorite for this dish. Most people order the beef brisket with e-fu noodles. Make sure to bring a fully-charged digital device and some friends as you will surely wait in line. The location is sort of in between Sheung Wan and Central (near Oddie’s mentioned above). Another tweak of a foreign dish, Hong Kongers stepped up the French Toast game. Take two thick slices of white bread and sandwich some peanut butter in between them. Then, deep fry it. Then, heap butter and syrup on top. It’s more like a dessert than breakfast but we won’t judge what time of day you eat this decadent treat. If heading to Stanley Market on Hong Kong island, stop at Si Yik, a dai pai dong (closed on Tuesdays) famous for Hong Kong style french toast stuffed with kaya (coconut jam) paired with milk tea or even a bowl of noodles. Any hotel breakfast buffet or menu in Hong Kong likely has congee on the menu. 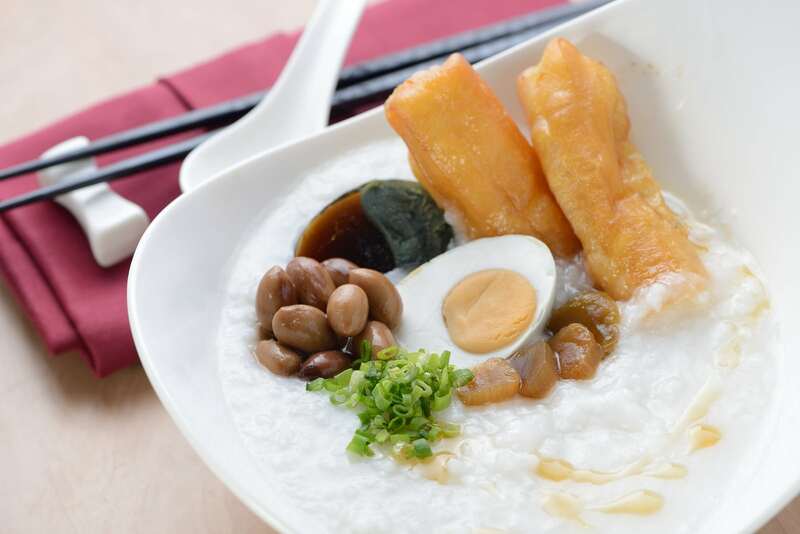 Cantonese-style congee is a thick, white, savory rice porridge that doesn’t look like much but is very much the region’s comfort food. The rice is usually boiled in some sort of meat broth. Congee (also called jook) is said to date back to the Ming dynasty when it was used as a vehicle for medicinal herbs. It’s the first food given to babies and favored by the elderly. Have an upset stomach? Turn to congee. To me, in addition to the consistency of the actual porridge, the condiments are everything. You’ll typically eat it with a fried dough stick called yao tiew, peanuts, salted eggs, spring onions, dried shrimp, pickled tofu and more. Congee is everywhere but for a super local experience try Sang Kee. It’s cash-only, without English menus and you’ll share a table but if you can wing it without speaking the language it’s worth it. 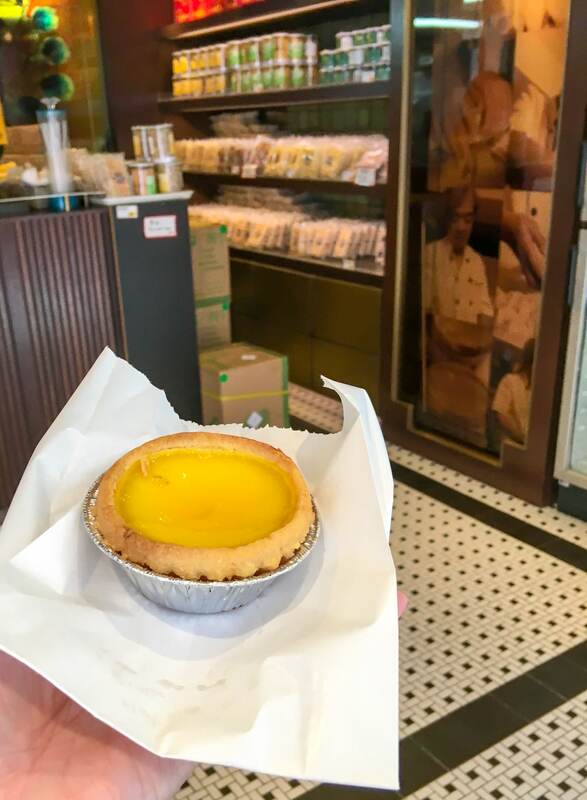 Head up the Mid Levels escalator and turn right on Lyndhurst Terrace to find my favorite egg tarts at Tai Cheong. An egg tart is basically a small pastry filled with an egg custard. I like Tai Cheong’s crust as it’s more like a less-sweet sugar cookie than a flaky pastry. Multiple outlets exist now throughout Hong Kong though popular ones include the below. Wonton noodles is a bowl of hot broth filled with thin egg noodles, dumplings that are typically filled with shrimp (sometimes minced pork) and leafy greens. It’s also about cooking the noodles to perfection… not mushy, but perfect al dente. Mak’s Noodle, in business since the late 1960s, is now run by the third generation of family. It’s a Hong Kong institution. I don’t know why I don’t see typhoon shelter crab on more Hong Kong food lists. This dish is believed to have originated in Hong Kong’s typhoon shelters, inlets where boats dock during typhoons. Eat it at Under Bridge Spicy Crab, where the whole crab is deep-fried and covered in a secret typhoon style sauce (probably some combination garlic, scallion, red chili and black beans). Go to the original location though there are two smaller outlets within a few blocks. Starving at 2:00 a.m. and craving local flavor? It’s no problem in Hong Kong (actually, Under Bridge Spicy Crab mentioned above is currently open until 6:00 a.m.). Tsui Wah, a popular cha chaan teng, has locations all over Hong Kong now. The most famous one is in Central on Wellington Street. It’s where people, including some local celebrities, end a late night after Lan Kwai Fong. You’ll find all the greats here: milk tea, egg tarts, brisket, and then some. Oddly, the jumbo Frankfurter (and it is huge) is one of the most popular menu items. I also like the crispy bun. The list of branches indicates which are open 24 hours and which are not. There is probably one near wherever you are staying in Hong Kong but here are two popular ones. Most people in the business districts eat lunch in the 1:00 p.m. hour so avoid this time of day. The reason why I’ve included TripAdvisor links in this article is that user photo galleries usually include a photo of the restaurant’s exterior. Photos like this have always been helpful to me as someone who doesn’t speak Chinese as the dai pai dongs and smaller restaurants do not have English signage or menus. When ordering, worst case scenario, you can also always pull up a photo of a dish on TripAdvisor to indicate what you’d like to order if in a pinch. It’s worth the effort, trust me. I have noticed that some of the street names on TripAdvisor are wrong for the smaller restaurants (perhaps some autotranslation issues) but they are definitely correct in this post. 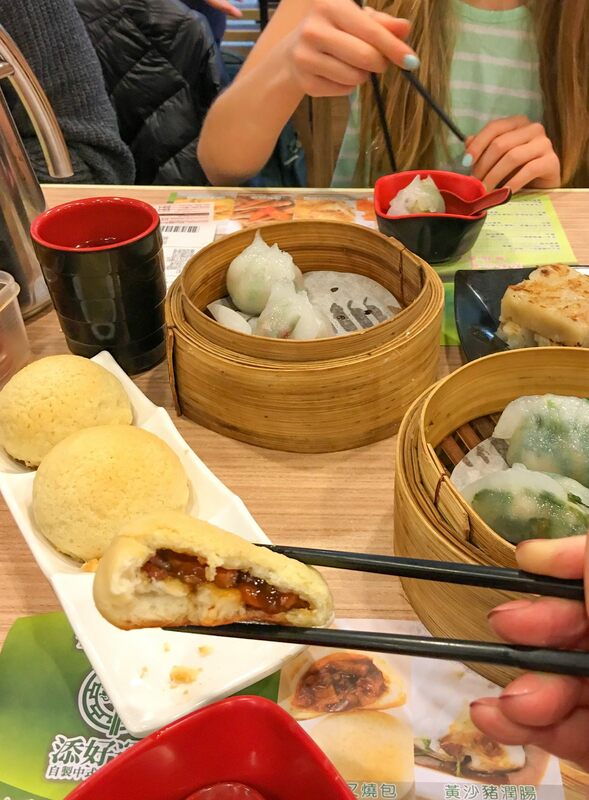 What is your favorite Hong Kong food? 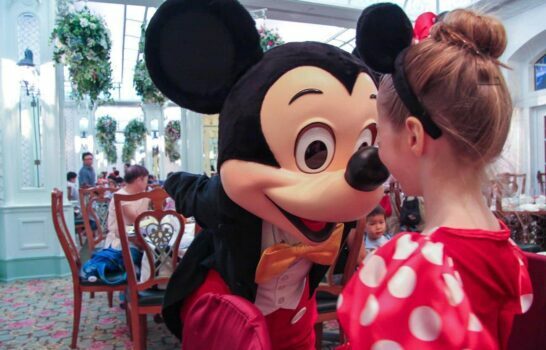 Should You Book Hong Kong Disneyland Hotel Character Dining?